1. 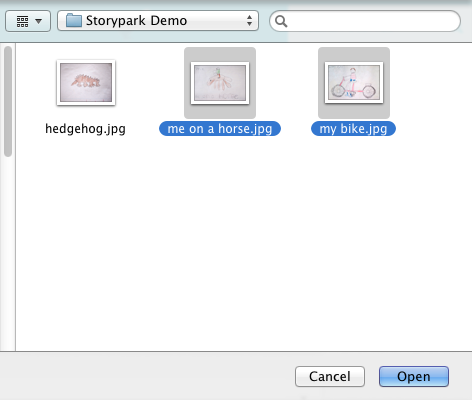 Click the little '+' button to the left of the editor and choose the filetype you wish to upload. 2. Navigate to the files you wish to upload and click on one of them. 3. Hold down the 'Ctrl' key (on a PC) or the 'Command' key (on a Mac) and select another file you wish to upload. Both will show as being selected. You can continue doing this until you have finished selecting all the files you wish to upload. 4. Click 'Open'. All the selected files will begin uploading to your story. If you have selected a lot of files, they may take a while to upload (this will also depend on your internet speed), but you can continue writing the story while you wait.